Two early immigrants, Casimir Pulaski and Tadeusz Kościuszko, led armies in the Revolutionary War and are remembered as national heroes. Overall, more than one million Poles and Polish subjects have immigrated to the United States, primarily during the late 19th and early 20th centuries. Exact immigration numbers are unknown. Many immigrants were classified as "Russian", "German", and "Austrian" by the U.S. Immigration and Naturalization Service as the Polish state did not exist from 1795 to 1918, and thus the former territories of Poland at this time were under Prussian, Austrian-Hungarian and Russian control. Complicating the U.S. Census figures further are the high proportion of Polish Americans who marry outside their ethnicity; in 1940, about 50 percent married other American ethnics, and a study in 1988 found that 54 percent of Polish Americans three generations or higher had been of mixed ancestry. 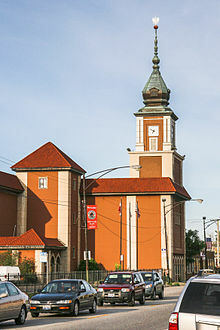 The Polish American Cultural Center places a figure of Americans who have some Polish ancestry at 19-20 million. Since 1914, the United States has seen mass emigration from Poland, and the coming of age of numerous generations of fully assimilated Polish Americans. However immigration from Poland has continued all way into the early 2000s and started declining after Poland joined the European Union in 2004. The income levels have gone up from well below average, to above average. Poles became active members of the liberal New Deal Coalition from the 1930s to the 1960s, but since then they have moved to the suburbs and have become more conservative and vote less heavily Democratic. Outside of Republican and Democratic politics, politics such as those of Agudath Israel of America have heavily involved Polish-Jewish Americans. By educational attainment, the U.S. Census estimates that 37.6% have bachelor's degrees or higher, whereas the American population as a whole is 28.5%. The median household income for Americans of Polish descent is estimated by the U.S. Census as $61,846, with no statistically significant differences from other Slavic-American groups, Czech, Slovak, and Ukrainian. The median household income for those of Russian ancestry has been reported as higher on the U.S. Census, at $70,310. Panna Maria, Texas was founded by Upper Silesian settlers on Christmas Eve in 1854. Some people still speak Texas Silesian. Cestohowa, Kosciusko, Falls City, Polonia, New Waverly, Brenham, Marlin, Bremond, Anderson, Bryan, and Chappell Hill were either founded or populated by the Poles. Other industrial cities, with major Polish communities, include: Buffalo, New York; Boston; Baltimore; New Britain, Connecticut; Portland, Oregon; Minneapolis; Philadelphia; Columbus, Ohio; Erie, Pennsylvania; Rochester, New York; Syracuse, New York; Los Angeles; San Francisco; Seattle; Pittsburgh; central/western Massachusetts; and Duluth, Minnesota. The Polish community was long the subject of anti-Polish sentiment in America. The word, Polack, has become a racial slur. This prejudice was partially associated with anti-Catholicism, and early 20th century worries about being overrun by Central European immigrants. Polish people were not considered white in America, until the 1960s. For a more comprehensive list, see List of Polish Americans. ^ a b "Total ancestry categories tallied for people with one or more ancestry categories reported 2010 American Community Survey 1-Year Estimates". United States Census Bureau. http://factfinder2.census.gov/faces/tableservices/jsf/pages/productview.xhtml?pid=ACS_10_1YR_B04003&prodType=table. Retrieved 2 November 2015. ^ U.S. Census Bureau. "Ancestry: 2000". https://www.census.gov/prod/2004pubs/c2kbr-35.pdf. Retrieved 25 April 2014. ^ "Allaince News : 2008" (PDF). http://www.polishtoledo.com/tpanews/fallnewsltr08.pdf. Retrieved 28 August 2017. ^ "Waclaw Kruszka, Historya Polska w Ameryce, Milwaukee 1905, p. 65 (in Polish)". 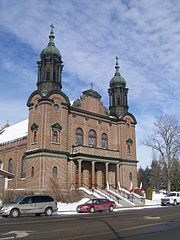 The Polish-American Liturgical Center. http://liturgicalcenter.org/media/pdfy/Polonia/Polonia/POL_1.pdf. Retrieved 2 November 2015. ^ "Rank of States for Selected Ancestry Groups with 100,00 or more persons: 1980". United States Census Bureau. https://www.census.gov/population/www/censusdata/files/pc80-s1-10/tab04.pdf. Retrieved 30 November 2012. ^ "About the Population Census". http://flps.newberry.org/article/5423968_8_0624. Retrieved 17 March 2015. ^ a b c d Data Access and Dissemination Systems (DADS). "American FactFinder - Results". http://factfinder.census.gov/bkmk/table/1.0/en/ACS/11_1YR/S0201//popgroup~001%7c451%7c525%7c551%7c554%7c558%7c560%7c572. Retrieved 17 March 2015. ^ Data Access and Dissemination Systems (DADS). "American FactFinder - Search". http://factfinder2.census.gov/faces/nav/jsf/pages/searchresults.xhtml?refresh=t. Retrieved 17 March 2015. ^ "Yearbook of Immigration Statistics: 2011 Supplemental Table 2". U.S. Department of Homeland Security. https://www.dhs.gov/files/statistics/publications/LPR11.shtm. Retrieved 2012-11-02. ^ "Supplemental Table 2. Persons Obtaining Lawful Permanent Resident Status by Leading Core Based Statistical Areas (CBSAs) of Residence and Region and Country of Birth: Fiscal Year 2014". U.S. Department of Homeland Security. https://www.dhs.gov/sites/default/files/publications/immsuptable2d_5.xls. Retrieved September 11, 2016. ^ "Yearbook of Immigration Statistics: 2013 Supplemental Table 2". U.S. Department of Homeland Security. https://www.dhs.gov/sites/default/files/publications/immigration-statistics/yearbook/2013/LPR/immsuptable2d.xls. Retrieved September 11, 2016. ^ "Yearbook of Immigration Statistics: 2012 Supplemental Table 2". U.S. Department of Homeland Security. Archived from the original on December 22, 2014. https://web.archive.org/web/20141222152450/http://www.dhs.gov/sites/default/files/publications/immigration-statistics/yearbook/2012/LPR/immsuptable2d.xls. Retrieved September 11, 2016. ^ "POLISH AIRLINES LOT". LOT POLISH AIRLINES. http://www.lot.com/us/en/web/newlot/home-na. Retrieved 2012-11-17. ^ Gauper, Beth (2007-05-27). "Polish for a day". MidwestWeekends.com. St. Paul Pioneer Press. 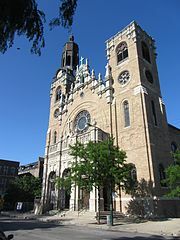 http://www.midwestweekends.com/plan_a_trip/history_heritage/heritage_travel/polish_fest_milwaukee.html. Retrieved 2008-01-11. ^ "National Polish-American Sports Hall of Fame Artifacts on Display at the American Polish Cultural Center". National Polish-American Sports Hall of Fame. http://www.polishsportshof.com/ccpresense.html. Retrieved 2009-02-23. ^ Data Access and Dissemination Systems (DADS). "American FactFinder - Results". http://factfinder2.census.gov/faces/tableservices/jsf/pages/productview.xhtml?pid=ACS_10_1YR_DP02&prodType=table. Retrieved 17 March 2015. ^ "Polish Village In Parma Ohio". https://www.facebook.com/polishvillage. Retrieved 28 August 2017. ^ "The Cleveland Society of Poles | Polish Foundation | Cleveland Ohio". Clevelandsociety.com. http://www.clevelandsociety.com/index.html. Retrieved 2012-09-10. 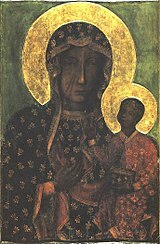 ^ "Project MUSE - A Social History of Polish-American Catholicism". http://muse.jhu.edu/journals/cht/summary/v027/27.3.radzilowski.html. Retrieved 17 March 2015. 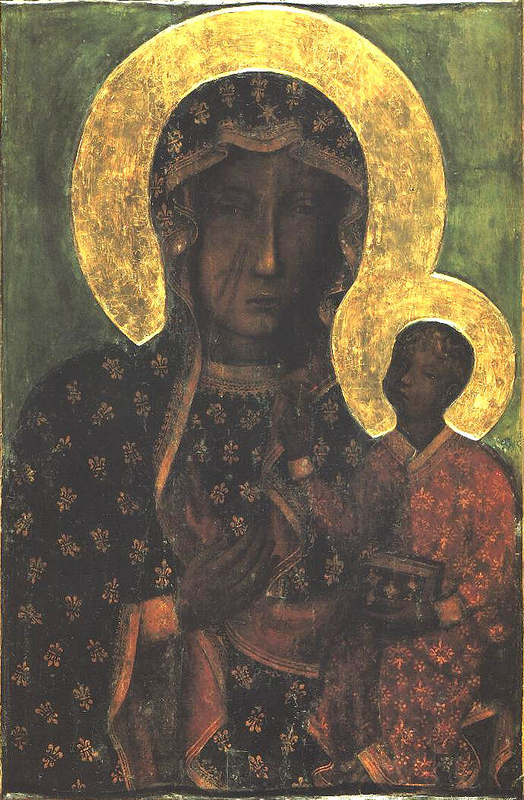 ^ "Our Lady of Czestochowa Shrine". Marymount Hospital. http://www.marymount.org/SpecialtiesServices/PastoralCareSpiritualLife/tabid/1623/Default.aspx. Retrieved 14 October 2010. ^ No Author Listed. "A History of Polish Hill and the PHCA". http://phca.pghfree.net/history.html. Retrieved 2006-12-22. ^ "Serbian Monastery of New Gracanica – History". Archived from the original on 21 February 2009. https://web.archive.org/web/20090221012143/http://www.newgracanica.com/monastery.htm. Retrieved 28 August 2017. ^ "Religion: Ramadan". Time. 1937-11-15. http://www.time.com/time/magazine/article/0,9171,758343,00.html. Retrieved 2010-05-22. ^ "PL - polsko-amerykański dwujęzyczny miesięcznik / Polish-American bilingual monthly". Plmagazine.net. Archived from the original on 2012-10-13. https://web.archive.org/web/20121013012356/http://plmagazine.net/. Retrieved 2012-09-10. ^ "Ohio University Press & Swallow Press". Ohioswallow.com. http://www.ohioswallow.com/. Retrieved 2012-09-10. ^ "Welcome to the Polish American Journal". http://www.polamjournal.com/. Retrieved 28 August 2017. 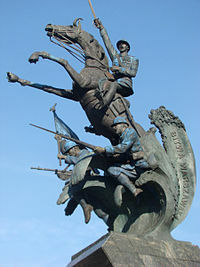 ^ "Polsko Amerykański portal - Polish American portal". Polishnews.Com. http://www.polishnews.com/. Retrieved 2012-09-10. ^ "The Am-Pol Eagle". http://www.ampoleagle.com/. Retrieved 28 August 2017. ^ "Progress for Poland - Chicago: Fakty, Wiadomości, Opinie...". Progress for Poland. http://www.progressforpoland.com/. Retrieved 17 March 2015. ^ a b "Polish American Historical Association - Resources and Supported Links". http://www.polishamericanstudies.org/resources.html. Retrieved 28 August 2017. ^ "Święto polskiego kina w Nowym Jorku" (in pl). Wirtualna Polska. 6 May 2009. http://film.wp.pl/id,94753,title,Swieto-polskiego-kina-w-Nowym-Jorku,wiadomosc.html?ticaid=1dfc5&_ticrsn=3. Retrieved 12 March 2012. ^ "Archived copy". Archived from the original on 2011-12-30. https://web.archive.org/web/20111230031521/http://www.portlandpolonia.org/festival/press.html. Retrieved 2016-02-08. ^ "May 3rd Polish Constitution Day". http://ampoleagle.com/may-rd-polish-constitution-day-p6745-105.htm. Retrieved 17 March 2015. ^ "Intellicast - Panna Maria Historic Weather Averages in Texas (78144)". http://www.intellicast.com/Local/History.aspx?location=USTX1020. Retrieved 17 March 2015. ^ "Archived copy". Archived from the original on 2009-03-21. https://web.archive.org/web/20090321155214/http://soildatamart.nrcs.usda.gov/Manuscripts/TX255/0/Karnes.pdf. Retrieved 2013-04-10. ^ a b Francis Edward Abernathy (1 August 2000). Publications of the Texas Folklore Society. University of North Texas Press. pp. 132–. ISBN 978-1-57441-092-1. https://books.google.com/books?id=2MzC5rRHjMsC&pg=PA132. Retrieved 10 April 2013. ^ "mySouTex.com - Grant will replace roof of 1858 Panna Maria house". http://www.mysoutex.com/view/full_story_landing/16973461/article-Grant-will-replace-roof-of-1858-Panna-Maria-house. Retrieved 17 March 2015. ^ "PLAV History". http://www.plav.org/plavhist.htm. Retrieved 28 August 2017. Bukowczyk, John J. (1996). Polish Americans and Their History: Community, Culture, and Politics. Pittsburgh, Pa: University of Pittsburgh Press. ISBN 0-8229-3953-3. OCLC 494311843. http://digital.library.pitt.edu/cgi-bin/t/text/text-idx?idno=31735057893186;view=toc;c=pittpress. Gladsky, Thomas S. (1992). Princes, Peasants, and Other Polish Selves: Ethnicity in American Literature. Amherst: University of Massachusetts Press. ISBN 0-87023-775-6. OCLC 24912598. https://www.questia.com/PM.qst?a=o&d=7575521. (2003) "Just Another Day in a New Polonia: Contemporary Polish-American Polka Music". Popular Music & Society 26 (4): 529–540. DOI:10.1080/0300776032000144986. ISSN 0300-7766. Lopata, Helena Znaniecka (1976). 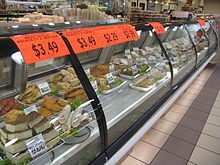 Polish Americans: Status Competition in an Ethnic Community. Ethnic groups in American life series. Englewood Cliffs, N.J.: Prentice-Hall. ISBN 0-13-686436-8. OCLC 1959615. https://www.questia.com/PM.qst?a=o&d=91961334. (1996) "Image, Status, Mobility and Integration in American Society: The Polish Experience". Journal of American Ethnic History 16 (1): 74–95. ISSN 0278-5927. Thomas, William Isaac; Znaniecki, Florian Witold (1996) [1918–1920]. The Polish Peasant in Europe and America: A Classic Work in Immigration History. Urbana: University of Illinois Press. ISBN 0-252-06484-4. OCLC 477221814. https://books.google.com/books?id=zaUMAAAAIAAJ&pg=PR3#v=onepage&q=&f=false.